Sydney, is a spectacular piece of Australia, with a wow factor like no other. Its glorious harbor is draped around wondrous beaches, endless national parks and stupendous restaurants hidden in everything and anything, including the famous Opera House. 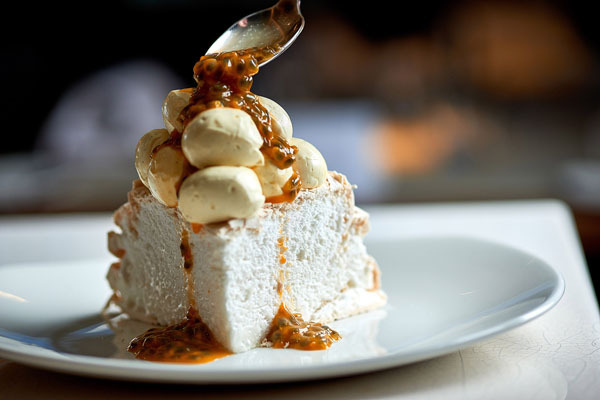 When dining out down under, Sydney definitely has an advantage of being a culinary scene with endless possibilities. It is Australia’s most recognizable landscape: Sydney Opera house. Its billowing white sails, soar high presenting its commanding presence on the beautiful Darling Harbor, as does the sophisticated restaurant that lives inside. 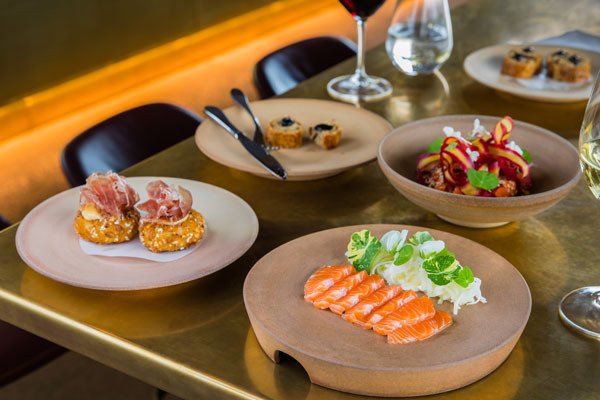 Bennelong is the substantially entrancing establishment inside the Opera House, serving up a celebration of Sydney and Australia’s finest from Executive Chef Peter Gilmore. Guests are greeted with a spectacle of warm, soft lighting that bounces off the large copper frame that molds with the white sails, keeping the integrity of the structure intact. The view of Sydney’s skyline and the beloved Darling Harbor is available from your seat as you delight your eyes on Australia’s freshest produce, including seafood and wines. As for the food, guests can choose to dine in the circle, the table, the bar, the cured and cultured counter or pre and post theatre style. The circle offers a view over the entire restaurant, with a relaxed dining experience and is perfect for private events with family and friends. At the Cured and Cultured counter, diners will find a menu completely focused on a single, pristine ingredient and a view of the chefs at work. The menu consists of items such as red claw yabby with lemon jam, cultured cream served on a buckwheat pikelet and suckling pig sausage roll or a Tasmanian inspired scallop pie. The salad of smoked eggplant, crisp falafel, pistachio nuts, currants, labane all served on house made pita bread is different with every bite and is guaranteed to excite your taste buds. Australia is known for its land, and the wineries are no different. 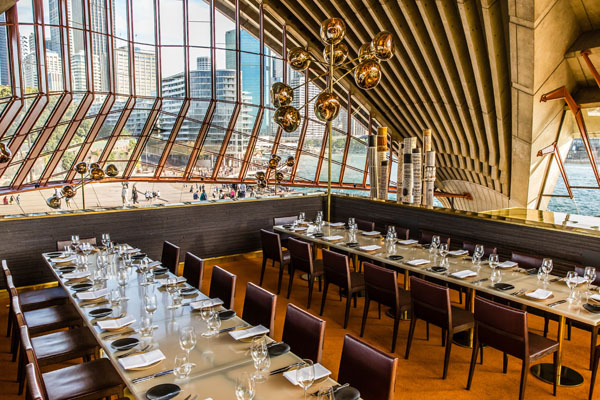 Bennelong curates an impressive wine list showcasing Australia’s best Chardonnays, Pinot Gris’s, Sauvignon Blanc’s, Rieslings and many more. 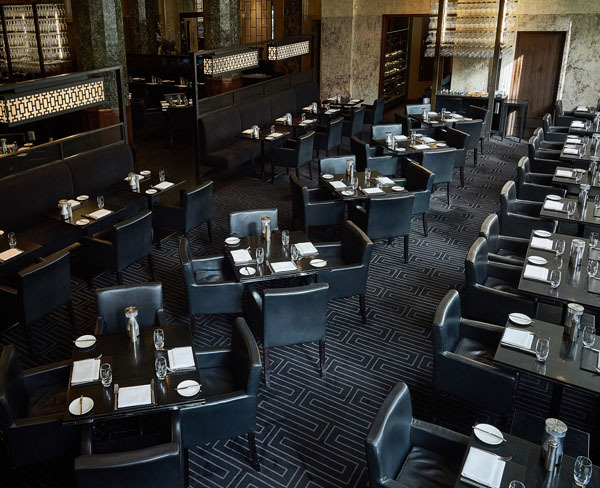 It is hailed as Australia’s most beautiful dining room, with its colossal marble columns and magnificent interior, Rockpool Bar and Grill in Sydney is a must when visiting the famed city. Situated in the sensational City Mutual Building, a 1936 Sodersteen-designed American style art deco skyscraper, the dining style is simple, uncomplicated and elegant, with a handful of great food and an even greater wine list. 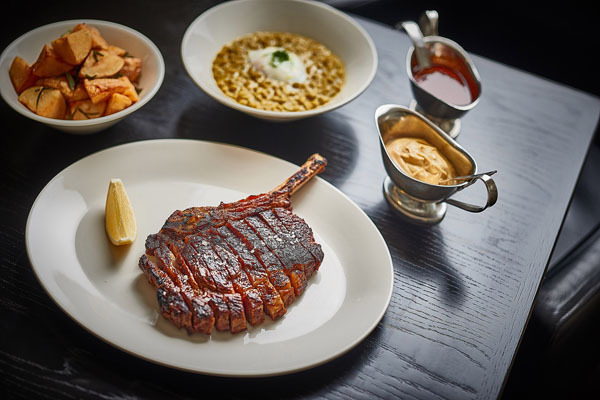 Rockpool Bar and Grill offers diners a peak into some of Australia’s best beef with an attentive service style for sophistication and a heavy emphasis on excellent produce. Diners can expect to indulge in items from the cold bar such as four raw tastes of the sea or freshly shucked oysters with mignonette sauce as a starter. The hot starters include grilled zucchini flowers and fried capers or the fried calamari is a taste satisfier. As for the main, beef from the wood fired grill is prerequisite and includes succulent options like David Blackmore’s dry aged full blood Wagyu ox fillet, or the Cape Grim Dry Aged Vintage 60 month old Grass Fed fillet is a commitment you need to make. Opt in for a side of potato puree or cucumber salad with rosemary, garlic and sunflower seeds to refresh your palate.